Area Served: South East of England, which incorporates London, Kent, Surrey, Sussex, and Hampshire. Although we are best known for our National performances, here in the South East we apply the same passion to all our events and weddings that we fire almost every weekend of the year. Nestled in the beautiful countryside of both Kent and Sussex, Titanium Fireworks South East enables us to offer the same level of professionalism, utilising our local knowledge to ensure that we are providing a local professional service to all at a very competitive price. Having staff and equipment already based in the South East, gives us quick access to main arterial routes into London and surrounding areas meaning we can minimise logistical costs lowering overheads on each display without compromising on the quality and professionalism that Titanium is famous for. With a whole host and variety of local attractions from Historic Castles such as Dover, Leeds and Hever, to Fantastic wedding venues, East Sussex National Golf Resort and Spa, Effingham Park and local tourist attractions such as the Brighton i360, The Royal Military Canal and Kew Gardens, the South East of England is an amazing place to hold your event or wedding. Your event could be from a National Park to a village hall, we will tailor your display to meet both your needs and that of the surrounding area. Being environmentally aware we can offer low noise or low debris product. Whether your display requires choreographing to a specific sound track, theme or colour scheme we can tailor the display to meet all of these requirements. 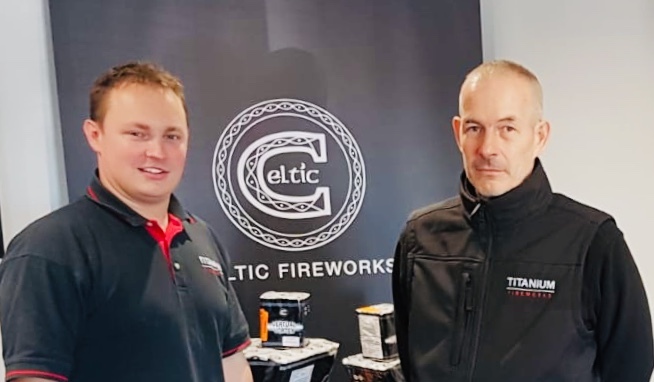 With a combined experience of over 50 years in the Firework Industry and a background of over 30 years in the Fire Service between us, we have acquired a vast array of skills which we are able to call upon to give the best service possible in all eventualities. We have the experience of working on larger scale events such as London New Years Eve, Adele’s World Tour and Dubai NYE celebrations, coming from the South East we fully understand the local needs and expectations to create something truly amazing and memorable, unique to you a moment never to be forgotten. With our two offices, one based just off Junction 9 on the M20 at Ashford and the second office just on the outskirts of Brighton, we have staff who you can meet at your venue or you are more than welcome to pop into to discuss your requirements. Our aim is to add the personal touch in the development of your display, ensuring an amazing event for all to see.